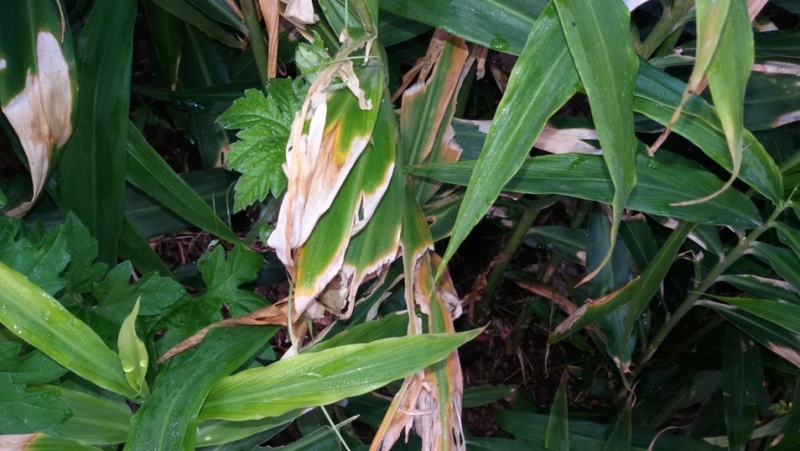 Problem Description Initially small oval to elongated spots appear on leaves. Initially small oval to elongated spots appear on leaves. These have white papery center, dark brown margins and are surrounded by yellowish halo. The spots may enlarge in size. The affected leaves may get torn and suffer extensive desiccation.